The decision to forgive an offender is probably the hardest choice we can ever make. Some crimes seem too horrible to forgive. Our instincts tell us to avenge the person who caused us pain, not to release him from the debt he owes us. But as Christians, we can't afford to have unforgiving hearts, for we have been greatly forgiven by God in Christ ( Ephesians 4:32). Only forgiveness can release us from a life of hatred and bitterness. "Forgiving is a journey, sometimes a long one," wrote Lewis B. Smedes in Shame and Grace. "We may need some time before we get to the station of complete healing, but the nice thing is that we are being healed en route. When we genuinely forgive, we set a prisoner free and then discover the prisoner we set free was us." I invite you to join me this week as I delve deeper into the issue of forgiveness. Monday and Tuesday I've invited Laurie Coombs to be a guest blogger. She's tells an extraordinary true story of grace, mercy, and the redemptive power of God. Her father was murdered, and she and her family sought justice--and found it. Her book chronicling her journey to forgiveness called "Letters from My Father's Murderer" just released and will hold you spellbound. Wednesday and Friday I'll be putting my counselor hat on and sharing some tips that will debunk 6 commonly held myths about forgiveness, and also some helpful steps to help you walk out this journey of forgiveness. I'm giving away a copy of "Letters from My Father's Murderer"
Join me each day this week and enter to win a copy of Laurie's book. More details will follow Monday morning when Laurie's first post will be up. Forgiveness is something I am working on. I have a lot in my heart that is stuck there because I am having trouble forgiving. Slowly but surely I am working on them one at a time and this post just reminded me of another one. Tessa, hang in there and keep pressing forward. It's a choice, but it's alway a journey. I hope you'll be able to check in each day this week. 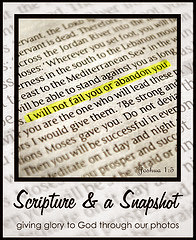 New content regarding forgiveness M-F for this Freedom Through Forgiveness series. Thanks for sharing. It will be interesting to see what you say in your future posts. Thank you, Joy! I hope you're able to stop back in this week. We'll have new content M-F.
That art is wonderful. Forgiveness can be so hard. How true! One of the biggest keys to walking in freedom and deliverance is making a choice to forgive. Laurie's book sounds very powerful! I cannot imagine the process of forgiving the person who murdered a family member. Blessed you share this at The Weekend Brew. God has been dealing with me on that issue for the past few years. It is hard to distinguish between the hurt and if I've truly forgiven because it is a family member that I loved dearly. When the hurt flares, I just have to remember that I have forgiven, but it doesn't mean that I can open that door again. The walking away hurts me as much as the hurt that they imposed. Forgiving is not an easy task, but then we know God will lead us through. :) My reading through the Bible has clarified that we are to forgive even our enemies. Great food for thought post.